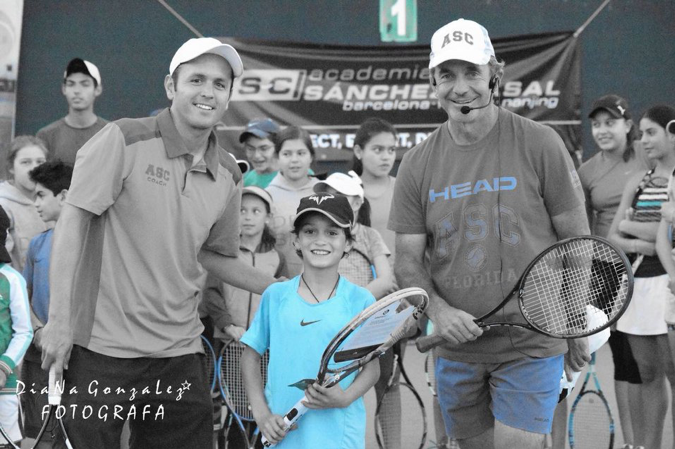 COACHING SERIES: INTERVIEW WITH ASC FLORIDA JUNIOR PROGRAM DIRECTOR, VICTOR HUGO CAMARGO. At first glance he seems shy, or maybe he is, but as soon as he speaks, his low tone captivates you. His arguments are very strong, and he knows how to put himself in your place. Víctor Hugo Camargo puts effort into what he does, he is always available, and the ASC values are his DNA. He is involved with attention, his greatest virtue is that he cares about others and gives everything for them. He is a tireless source of ideas and seeks perfection by teaching, he is an inexhaustible source of inspiration, and being with him, in a group or on the court next to him, is a motivation to keep fighting. He spent ten years at the Sánchez-Casal Academy in Barcelona and he has been at our Naples facility for the past two years. He has played many roles, from tournament coordinator to Junior program director and every day I continue to learn from him. 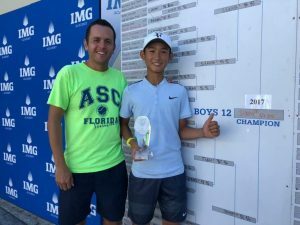 Victor Hugo spends every day on court and is coach to one of our best players, Jerry Shang, who arrived at our academy in Naples in 2016 from ASC Nanjing. Jerry is a student with privileged skills and incredible potential, we know how difficult it is to retain him in our humble infrastructure, given the aggressiveness of our rivals, but what is certain is that so far, both Victor Hugo and Jerry have worked at giving the best of themselves and obtaining outstanding victories like that of Eddie Herr 2017 and Clay Court Nationals 2018. Thank you, Victor Hugo, for your loyalty, your values and for giving everything, working with you is a blessing and I hope we continue working together for many years. It’s a pleasure to have you as part of the Sánchez-Casal team. 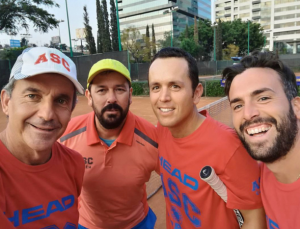 This entry was posted in Coaching, Emilio Sánchez, Tennis and tagged coach, Emilio Sanchez, Leadership, Naples Florida, Sánchez-Casal Academy, Sánchez-Casal stories, Spanish Tennis, Tennis, tennis academy, US tennis. Bookmark the permalink.